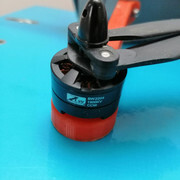 I'm selling 2 CW and 2 CCW Black widow 2204 1900kV. I have used them on my 3D printed mavic for ~1.5 hours of flight, before receiving the real mavic pro 2. I have no use for the motors anymore.